Although beautiful Orlando Florida is most well-known for its plentiful theme parks that promise thrills and fun for kids of all ages, it is also quite popular for its love of sports. For the most part, people wouldn’t think that Florida has an ice hockey team but indeed, we have our Orlando Solar Bears in the area. The number of fans that flock to the arena to see them play is nothing less than astounding, which makes traffic a true nightmare to deal with on gameday. Rather than fighting with the crazy drivers and getting frustrated, it’s a lot easier to call a company for sporting events transportation in Orlando. It’s just less stressful and allows you to truly enjoy the game. Luxury Transportation Group USA offers complete Orlando Solar Bears sporting events transportation for their fans. Seasoned Solar Bears fans know that parking at the ice hockey venue can be problematic. First time attendees will never forget the long walk from where they had to park to get to the venue. It can honestly be exhausting. Older people will more than likely get winded, and the younger children will probably need to be carried. We all know those are not good things. Enlisted the services of a company for Solar Bears transportation in Orlando would make life so much easier. Life can be stressful enough. Making it less stressful is a good thing. 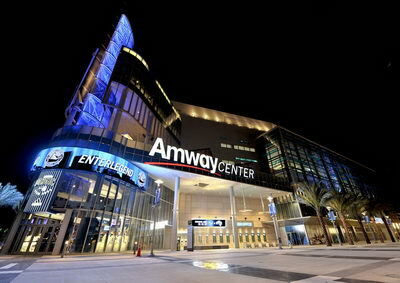 Luxury Transportation Group USA provides high quality, door to door service for Solar Bears transportation in Orlando. There are loads and loads of Solar Bears’ fans who enjoy having a few drinks while they are watching the game. They can help you relax and enhance your enjoyment of the game. The only problem is with those who choose to drink and then drive the car home or to their hotel. They put themselves and others in danger on the roads, so having sporting events transportation in Orlando set up in advance is the prudent thing to do. Taking a chance driving just isn’t worth the potential consequences. Luxury Transportation Group USA is the premiere provider of sporting events transportation in Orlando and the surrounding cities. LTG Orlando is the “go to” company for sporting events car services in Orlando. Their professional drivers and high-end fleet of vehicles will have you feeling like a coveted athlete on the way to the game. 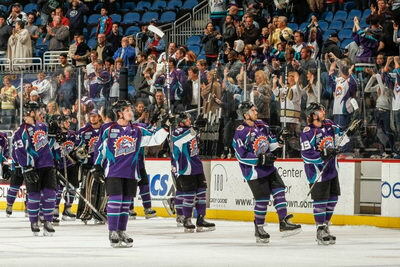 Call 407-476-0429 to book your Orlando Solar Bears transportation services now.